For years now, we’ve heard bad news about the Great Lakes. Most of it has to do with invasive species getting into the lakes and wrecking the food web. One writer called it a slow-moving underwater wildfire. So it might surprise you to hear that native fish are doing very well in one of the lakes. The changes are so dramatic scientists are a bit puzzled and can’t explain what’s happening. A few years ago, scientists were using the word collapse to explain what had happened to the food web in Lake Huron. There just weren’t many fish at all. That’s why it’s surprising that some native fish are now recovering very quickly, particularly a small one called bloater. 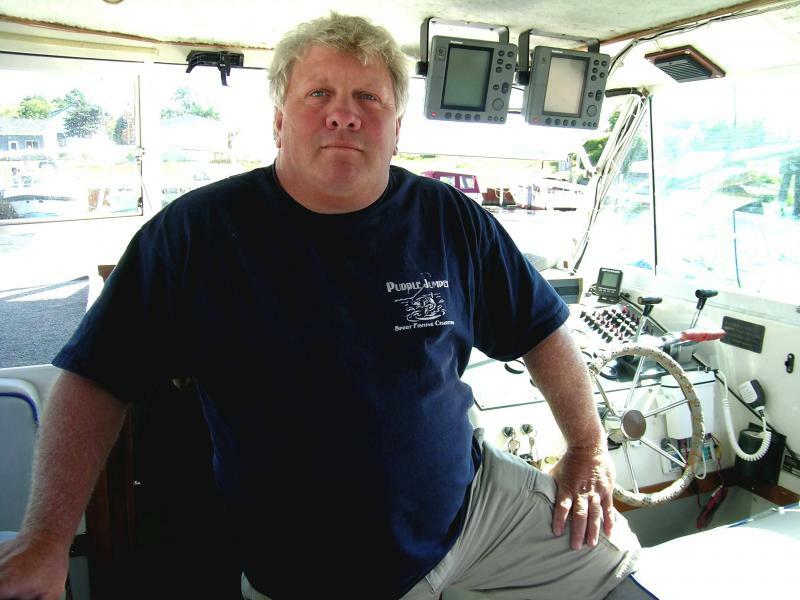 Stephen Riley does annual trawls for the U.S. Geological Survey. “We’re not used to seeing this many fish in one haul. We’ve got catches now of bloater in certain places that we’ve never seen ever in our records. It’s surprising that it happened so quickly. But it’s a positive note for us so we’re actually happy to see it,” says Riley. These surveys have been going on for almost 40 years in Lake Huron. Prey fish are important to monitor because they’re the food for the big fish, like walleye and salmon, fish people like to catch. Bloater, by the way, is a fish most people would call a chub. If you have seen one, it was probably smoked for you to eat. It’s not the only native fish doing well in Lake Huron. Another is one you likely have never heard of. It's called slimy sculpin. Lake trout are coming back to life too. Lake trout used to be popular to eat and commercial fishing actually helped wipe them out of the Great Lakes. Stephen Riley says there wasn’t much hope for Lake trout in Lake Huron until now. “We’ve seen a few examples of where Lake trout were spawning and we’ve found eggs, we’ve seen a few examples where we’ve seen little baby juveniles, but in Lake Huron, this is the first time we’ve seen a lake-wide sustained production of adult Lake trout from wild fish. So, it’s another example of something that’s telling us maybe the lake is going back into a state where it can support these native fish,” he says. Riley says the changes are dramatic enough to wonder if the lake’s ecosystem is undergoing some kind of permanent change. Biologists refer to this as a regime shift. But whatever it is, you wouldn’t say it was expected. Chuck Madenjian surveys Lake Michigan for prey fish. He says a consensus was starting to form that these lakes could never bounce back. But Madenjian says the amount of prey fish being found in Lake Huron now flies in the face of that. “There’s promise of hitting levels that we even saw in the eighties. Most people have already dismissed the idea that you could get prey fish populations to that level or even close to it,” says Madenjian. Unfortunately, there are no signs of a dramatic recovery in Lake Michigan, and that highlights the fact that scientists can’t fully explain what is happening or why. Lakes Michigan and Huron are really one lake so it’s unclear why fish would do well on one side of the straits but not the other. The amount of fish caught in Lake Huron was so high last that it makes Mark Ebener a little skeptical. He works for the tribal agency the Chippewa Ottawa Resource Authority. Ebener says some years are better than others to catch fish in bottom trawl nets. But he’s not sure catching lots of fish in some parts of the lake is always a good reflection of what is happening lake-wide. “And that’s my concern, is that I just think that the increases that we’re seeing aren’t quite as big as what the data would suggest,” Ebener says. Still, Ebener thinks the recovery is real. He says there is no doubt invasive species like quagga mussels are having a big impact on the Great Lakes. But he thinks the lake is becoming a more stable environment with a variety of fish reproducing naturally. To understand why salmon are so important to the Great Lakes and the Michigan economy, you first have to understand some history. It used to be the lake trout was the fish to catch. It was big. It was tasty. But, by the late 1950s, that fish and others had been severely over-fished. And, an eel-like, blood-sucking parasite called the sea lamprey further reduced lake trout numbers. Those weren’t even the worst problems for lake trout. A fish called the alewife invaded the Great Lakes through manmade canals. Lake trout starting feeding on alewives. But alewives caused a thiamine deficiency in lake trout. A lack of vitamin B-1. Salmon fishing has meant a lot of tourism dollars for cities along the coasts. But, changes in Lake Huron have caused a collapse of salmon. But, what if other Great Lakes lose their salmon? 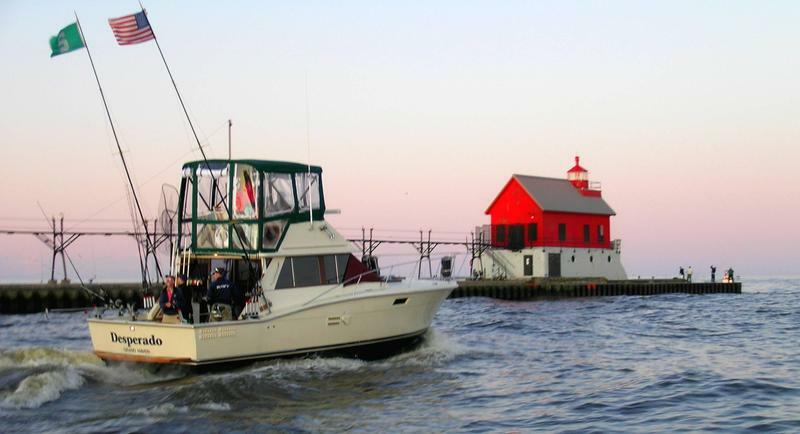 “This July for the first annual Mackinaw City Salmon Festival..."